Congratulations to "Trish J. ", the winner in Kat's giveaway. Thank you to all who participated! Beau could hardly believe it. His father was sixty years old! The girl sitting across from him in a booth at the Pleasant Hill Café looked like a teenager. A very pregnant teenager. Fat chance of that, Beau thought. His dad had never loved anyone but himself. Shoving a hand through his wavy black hair, Beau took a steadying breath. He had always wanted a baby brother or sister. Now at the age of thirty five, he was finally going to have one. Beau felt a surge of protectiveness toward the young woman carrying his father’s child. Beau returned the smile. “I’m going to have a baby sister. I promise she won’t have to worry about a thing from the day she’s born into this world.” Hell, he was worth more than half a billion dollars. He would see the child had everything she ever wanted. “Everything’s going to be okay.” He watched the women head for the door, the bell ringing as Josie shoved it open and she and Missy walked out of the café. Leaving money on the table for his coffee, he followed the women out the door, his temper climbing toward the boiling point. His father should be the one handling Missy’s pregnancy. He’d had months to step up and do the right thing. Beau figured he never would. As he crossed the sidewalk and opened the door of his dark blue Ferrari, his temper cranked up another notch. By the time the car was roaring along the road to his father’s house, his fury was bubbling just below the surface. Unconsciously his foot pressed harder on the gas, urging the car down the two-lane road at well over eighty miles an hour. With too many tickets in Howler County already, he forced himself to slow down. Making the turn into Country Club Estates, he jammed on the brakes and the car slid to a stop in front of the house. The white, two-story home he’d been raised in oozed Southern charm, the row of columns out front mimicking an old-style plantation. Climbing out of the Ferrari, one of his favorite vehicles, he pounded up the front steps and crossed the porch. The housekeeper had Mondays and Tuesdays off so he used his key to let himself into the entry. On this chilly, end-of-January day, the ceiling fans hadn’t been turned on, leaving the interior strangely silent. The ticking of the ornate grandfather clock in the living room seemed louder than it usually did. “Dad! It’s Beau! Where are you?” When he didn’t get an answer, he strode down the hall toward the study. He had phoned his father on his way here from Dallas. Though he’d done his best to keep the anger out of his voice, he wasn’t sure he had succeeded. Maybe his father had left to avoid him. “Dad!” Still no answer. Beau continued down the hall, his footsteps echoing in the quiet. As he reached the study, he noticed the door standing slightly ajar. Steeling himself for the confrontation ahead, he clamped down on his temper and shoved open the door. His father wasn’t sitting at the big rosewood desk or in his favorite overstuffed chair next to the fireplace. Beau started to turn away when an odd gurgling sound sent the hairs up on the back of his neck. “Dad!” At the opposite end of the desk, Beau spotted a prone figure lying on the floor in a spreading pool of blood. “Dad!” The handle of a letter opener protruded from the middle of his chest. Beau raced to his father’s side. “Dad!” Blood oozed from the wound in his chest and streamed onto the hardwood floor. He had to stop the bleeding and he had to do it now! He hesitated, praying he wouldn’t make it worse, then with no other option, grabbed the handle of the letter opener, jerked it out, gripped the front of his dad’s white shirt and ripped it open. The shapely brunette, his father’s newly hired personal assistant, didn’t pause, just pulled out her cell and dialed the emergency number. Beau’s hand shook as he checked for a pulse, found none. The wound was catastrophic, a stab wound straight to the heart. No way could his father survive it. Cassidy ran over and knelt on the floor beside him. “Here, use this to seal the hole.” She seemed amazingly in control as she handed him a credit card then ran to the wet bar and grabbed a towel, rushed back and handed it over. Beau pressed the towel over the credit card on top of the hole, all the while knowing his father was already dead or within moments of dying. Whoever had stabbed him knew exactly where to bury the blade. Cassidy reached down to check for herself, pressing her fingers in exactly the right spot on the side of his father’s neck. She had to know it was hopeless, just as he did, must have known Stewart Reese was dead. Sorrow slid through him, making his chest clamp down. Or maybe it was sadness for the kind of man his father was, the kind who had wound up the victim of a killer. He felt Cassidy’s eyes on him, assessing him with speculation--or was it suspicion? Beau looked down at his father, his eyes closed, his face slack in death. Stuart Reese was dead and Beau wanted answers. He vowed whatever it took, for as long as it took, he wouldn’t stop until he found the man who had murdered his dad. Giveaway ends 11:59pm EST February 8th. Please supply your email in the post. You may use spaces or full text for security. (ex. jsmith at gmail dot com) If you do not wish to supply your email, or have trouble posting, please email maureen@justromanticsuspense.com with a subject title of JRS GIVEAWAY to be entered in the current giveaway. Hardback, love the feel and smell of new books. Such a huge fan of Kats books. I am loving this series. Looking forward to reading this book. Kat writes the best stories. 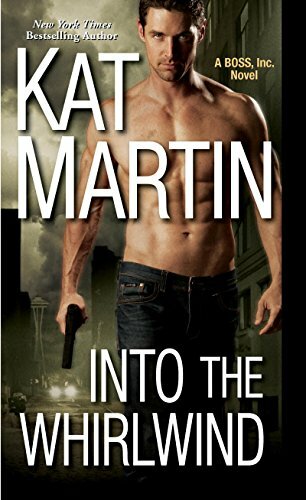 I have enjoyed Kat Martin's books for years. I started with her historical books and moved on to her contemporary and paranormal books. She writes books that capture your attention and satisfy, no matter what genre she is writing in. I will enjoy these new ones. I love the excerpt! 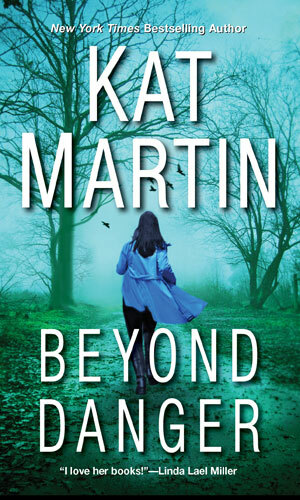 I added it to my TBR list on Goodreads. I wanted to mention that your titles "danger" & "whirlwind" are catchy words in your titles. They add an air of mystery.